Magnum radios. 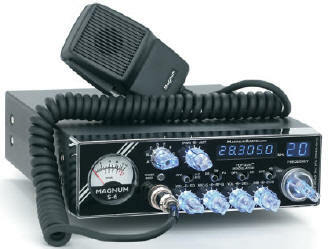 **NEW in 2016 Magnum 1 - 10 Meter Radio. Excellent service, low prices, repair, warranty, tuning and fast world wide shipping on the latest Magnum radios. **Update June 2015: Sadly the owner/founder of Magnum Radios "Sam Lewis" passed away. **Update 2016: Sam's son is now running the company. He will be coming out with a new line of Magnum radios as well as other products under the Palomar name. Sam was one of the designers of the original Palomar equipment from the 1960's, 70's and 80's. Magnum radios now have a 2 year manufactures warranty. All of our 10 meter radios come with a factory microphone, power cord, mounting bracket and mounting hardware. This section is for Magnum 10 meter radios. 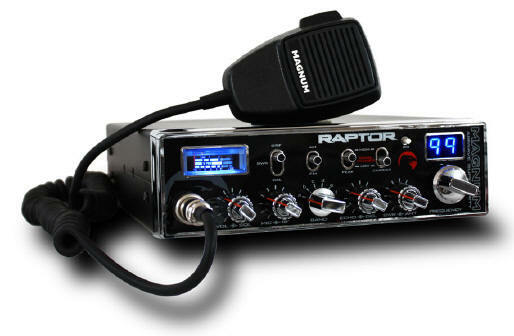 For Cb radios see Cb radio in the left menu. Don't forget to add our $35 tuning. S-3, S-6 and S-9 series Magnum radios already have a Modulation Upgrade from the factory called "Top Gun Modulator". If anyone other than GI Joe's tunes or works on your Magnum radio that does void your warranty with us. Tuning includes aligning the transmit, receive, meters, any other necessary adjustments and a visual inspection of the radio. If you do encounter a problem you should contact GI Joe's first for help or instructions. On the Magnum radio "View Detail" pages you will find more information and tuning selections. Also there are options to make the Magnum radio a base by adding a 120Vac to 12Vdc power supply. The smallest power supply listed is the smallest one that will run the radio. You will only need one of the larger power supplies if you plan to run more equipment with higher current (Apmerage) demands. As there are not a lot of base radios on the market the mobile with external power supply option gives you more for your money (as compared to a base radio) and a better selection of radio features to fit your needs. **ORDERING TIP: Shipping cost per item drops substantially as you as you add more items. Example: 2 mobile radios only cost $4 to $7 more to ship than one radio. Adding an antenna with a radio often only ads $3 to $5 to the shipping cost. You can save some money on shipping by purchasing everything you need on one order. The more you order the less shipping you pay per item. **New! Four pin mic adaptor included so you can use standard 4 pin mics. This converts the magnum 6 pin radio to a 4 pin mic. The Magnum - Omega Force S45HP radio is a newer version of the Delta Force radios with new features like Blue LCD display, Top Gun Modulator, Top Gun Compressor, RF Limited Turbo Echo. The Magnum S 45 HP also features a RFX75 amplifier from the factory for around 80 watts PEP output. The amplifier and heat sink are mounted to the rear of the S45 Magnum radio. **Note: We now receive the Nitro(NX) radios with blue and green lighting. We never know which one we will have from day to day. We try to stock both but both are not always available. Please state your preference (blue, green, or either) on the view detail page. **Note: We now receive the Nitro(NX) radios with blue and green lighting. We never know which one we will have from day to day. We try to stock both but both are not always available. Please state your color preference on the View Detail page. 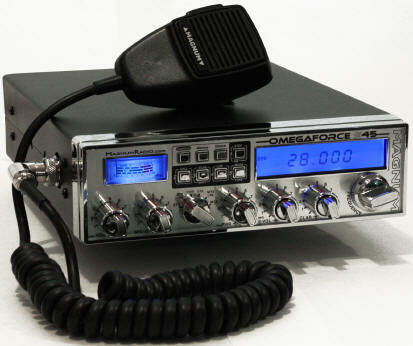 Excellent service, low prices, repair, warranty, tuning and fast world wide shipping on the S6 Magnum 10 meter radio. *Top Gun Modulator: on/off switch. Supplies loud-clear audio with lot's of punch. 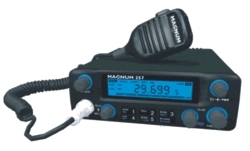 Excellent service, low prices, repair, warranty, tuning and fast world wide shipping on the latest Magnum S 6 Nitro radios. **Note: We now receive the Nitro(NX) radios with blue and green lighting. We never know which one we will have from day to day. We try to stock both but both are not always available. Please state your color preference on the View Detail page options when ordering. 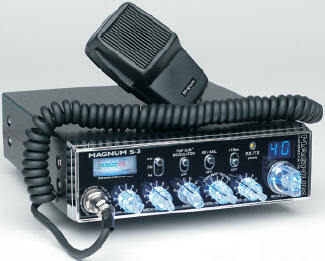 Excellent service, low prices, repair, warranty, tuning and fast world wide shipping on the latest Magnum S 680 radios. 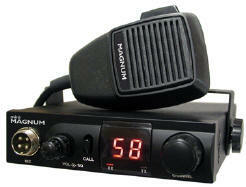 **Note: We now receive the Magnum Nitro (NX) radios with blue and green lighting. We never know which one we will have from day to day. We try to stock both but both are not always available. Please select tuning and color preferences after clicking View Detail. **Note: We now receive the Nitro(NX) radios with blue and green lighting. We never know which one we will have from day to day. We try to stock both but both are not always available. Please state your preference on the View Detail page. Excellent service, low prices, repair, warranty, tuning and fast world wide shipping on the latest S 980 Nitro Magnum radios. **April 2014 ~ This is one of our top selling radios. In stock April-June 2014. This batch is likely the last new Magnum 257 HP's you will ever find. Order now. When they're gone - they're gone! The 80 watt 257HP Magnum 10 meter radio. It is the same as the previous 30w 257 Magnum radio model. Just more power. **Compact size!! One of the smallest full feature 10 meter radios made!! This new magnum 10 meter radio has Blue backlit LCD display, AM, FM, SSB, repeater offset, frequency scanning and more. Click View Detail for more information, owners manual and information on the new RF Limited echo-power mic with talk-back made for the 257HP Magnum radio. Super low price on Magnum Mini Mag radio. Small size 10 meter radio 15 watt PLL controled AM mode Transceiver with volume and squelch control. Mini magnum radios have 2 digit LED channel display. *This is the 30w model however it shows 15-20w on our meters after tuning.